In search of the true self Siddhartha reached village of Sena in the Uruvela region.Near the banks of river Niranjana he found five monks who were practicing hard meditation.In the dense forest of Uruvela the monks were performing austerities.Siddhartha was amazed to see their mind control and breathing practices.They were leading a very disciplined life living on barely nothing and making their body suffer the hardships to attain various powers. Siddhartha too joined them and trained himself in the hard rituals and practices.He meditated on austerities and gave intense pain to his body.For six long years Buddha kept practicing the hard training.Demon Mara came to know of Buddha's advancement in search of truth.He came to Buddha and coaxed him to leave his meditation .He warned him that he would die of hunger and he should go back to his Kingdom. Buddha told him"I will surely quench my thirst of truth ,You can't take me away from my quest. "Mara understood that he would not be able to defeat Buddha's immense spirit.He played so many illusions to distract Buddha from his quest but his entire strength was drained in front of Buddha. In the end Demon Mara called Buddha"You are the true seeker of truth".He left Buddha to never return again. 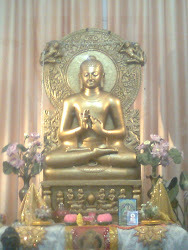 The glory of Buddha kept increasing .People came to know about a monk who was practicing hard rituals for six years.People from allover the place to get the blessing of Buddha.The health of Buddha kept deteriorating.His weight also was halved and he almost resembled a skeleton.Once Buddha got up to take a bath in river Niranjana but he could not rise.He held onto a tree branch and supported himself.As he reached his hut he fell down because of his weakness.People thought that Buddha had died. 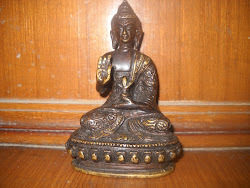 A girl called Sujata,eldest daughter of the chief herdsman Nanda,was passing by.She saw weak Buddha and offered him rice pudding.The Buddha looked at Sujata with gratitude and ate all the contents of the bowl offered to him.As Buddha had the rice pudding his body refreshed.Later as Buddha regained his strength he realised that severe austerities and making body suffer was not the way to attain enlightenment.Buddha left the place as he understood that torturing body will not take him to truth. 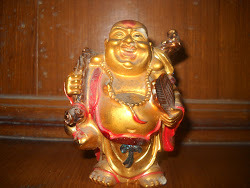 Before accepting milk rice from Sujata Buddha was not yet a Buddha or fully enlightened one. So the word 'Buddha' needs to be replaced with holy man, yogi or ascetic Gotama or ascetic Siddhartha. Regarding your blog description: Perhaps it is presumptuous to assume you can convey how the Buddha wants us to live our lives -- my impression is that Buddhism is to be used as a guide for those that wish, not a definitive directive interpreted by a single person. All the things in this blog is so amazing and nicely written. Thanks for sharing your experience and photos with us.Keep posting like this.